This post contains affiliate links, which means if you click on a link I may receive a small commission at no charge to you. In Australia, donkeys know how to pose for the camera. And I think the kangaroos took lessons, too. Don’t let these asses outdo you. Read about how to take better selfies. In the Philippines, chickens do chores. 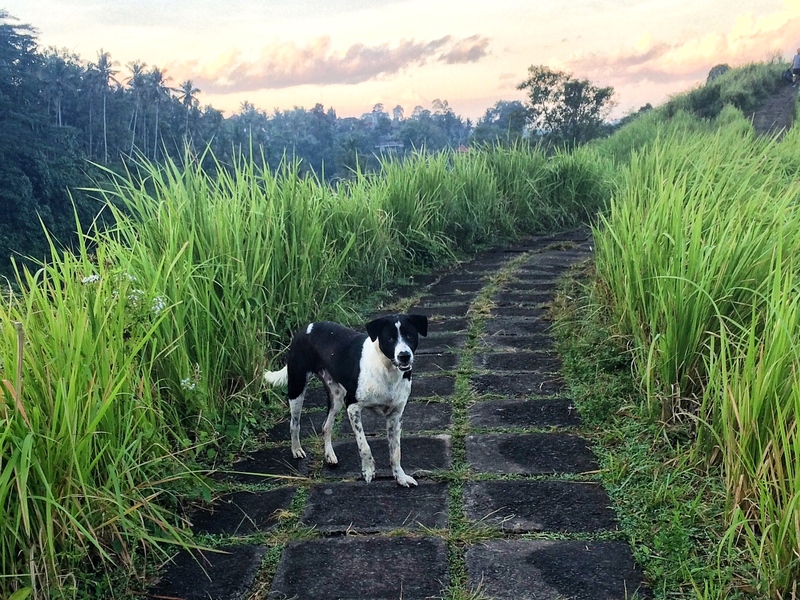 In Vietnam, dogs go to temple. 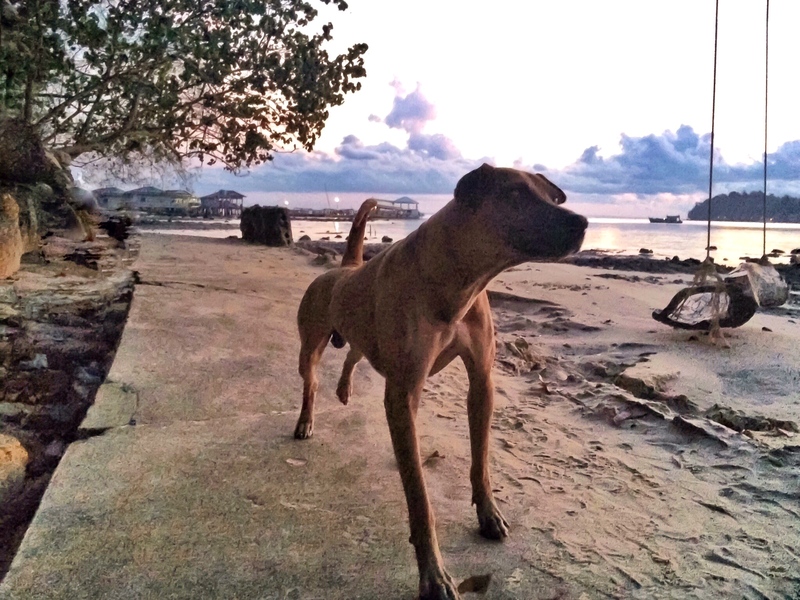 Cambodian dogs do Sun Salutations at sunrise. If you want to ride a water buffalo, anyplace in SE Asia will accommodate you. But remember that riding elephants is cruel. Posing with them is cool. Read about activities you can turn into a grown up gap year. I’ve also seen animals doing normal animal stuff. But when they’re in some of the most breathtaking places in the world, it still looks amazing! Have you ever seen a rooster eating in a restaurant? Tell me about your funniest animal encounter in the comments. Oh my goodness are those great! The best I have seen so far is Elk on a golf course. You images are cooler!!!! I’m glad you enjoyed them as much as I did, Ruth. 🙂 Those donkeys were the cutest. I wasn’t even trying to take their picture. I was just walking by the property, and they came up to the fence and started smiling! Really nice pictures! And I LOVE that you mentioned how cruel it is to ride elephants! Very cute – I love the dog on the beach! I frequently travel with my pet bird so I have some cute photos of him in different places as well. Molly, this was my first face-to-face with donkeys. I didn’t know they were so full of personality! I’m glad I could help. 🙂 Enjoy Germany, Erin! I really enjoyed this post. The animals you captured are showing such personality! Great job with the photographs. Thanks for sharing on #TheWeeklyPostcard. Loved this! Amazing animals looking fab all over the world – got to love that kangaroo! Haha! The sheep do look disgruntled! Donkeys are total show-offs. That is some “wild” living! I thoroughly enjoyed your photos. I couldn’t agree more about kangaroos posing for photos. They love to stare straight at the camera as if they know their picture will be headed straight to social media. Oh my gosh! What a unique way to write a post – it had me giggling, LOVE it! The photos are beautiful (and adorable!) too! Thanks for joining Fly Away Friday, hope to see you again this week! OH MY GOD I’m obsessed with this post!!! Seriously it’s everything!!! I’m such an animal obsessed person so this made me so happy!! haha!! thanks for sharing on FlyAwayFriday and can’t wait to see what you share this weekend! !